Bear Grylls Northwest Passage Expedition Begins! 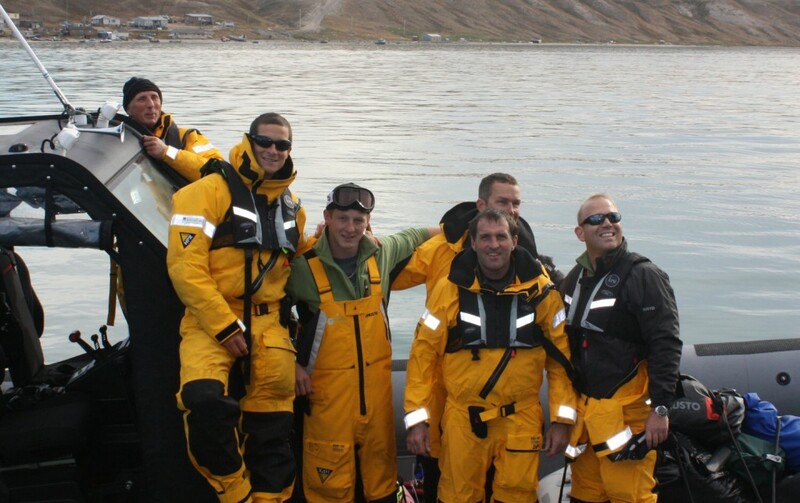 Bear Grylls and team have now set off on their Northwest Passage expedition this weekend! How exciting! They have reached Resolute Bay, one of the furthest outposts in the Arctic, and the must-pass-thru location for anyone attempting to reach the North Pole from Canada! Sounds like everything is going well – they are a long way off from completing their mission but we have every confidence in their team. Track Bear’s progress in the ‘Rib Tracker’. Bear is raising money to provide safe water for kids and to heighten awareness of the effects of climate change on poor communities struggling for basic needs such as clean water to drink. Check out some photos below from the first part of Bear & team’s Northwest Passage expedition, one again, Good Luck!